Salamanca. Have you heard of it? If not, then listen up and make this your next Spanish city to step foot in. With the students of the University of Salamanca – founded in 1218 and the 3rd oldest university in Europe – giving the city a lively atmosphere and the contrasting medieval buildings reminding you of Salamanca’s heritage, this place is the perfect destination for people who love a mixture of contemporary and old. 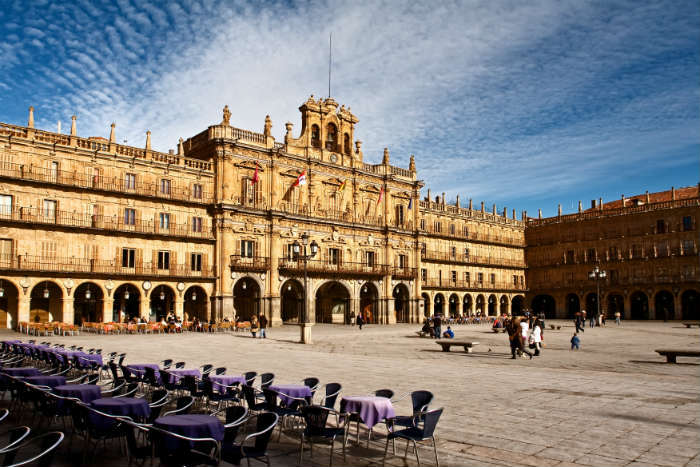 The Plaza Mayor in the centre of Salamanca is the main spot to see all the action too. You can either grab some food from one of the many tapas bars around the area, or, if you’re on a budget, hop into the local supermarket, gather a little picnic, and do like the locals do and have a mini feast in the middle of the square as you watch the world go by. Located about 1 hour north of Barcelona, this quaint Spanish city on the Costa Brava often gets overlooked by visitors who want to see La Sagrada Familia and La Ramblas. However, with one of the best Gelato shops in the world – we don’t think you’ll regret visiting Rocambolesc – and the impressive Girona Cathedral sitting proudly at the top of a flight of 99 steps, Girona is not a place to miss. For great views of the city, walk the 1200 year old walls which take you around the edge of the Old Quarter or soak up the historic side of the city in one of Europe’s best preserved Jewish Quarters. 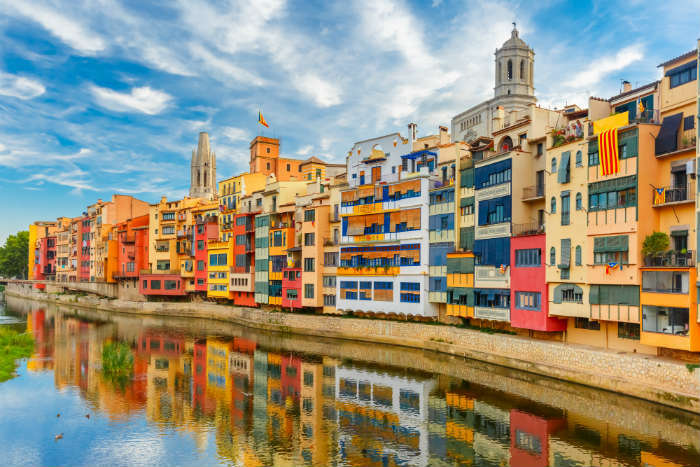 If being by the water is more your thing, take a stroll down the River Onyar and grab some Instagram worthy photos of the colourful Cases de l’Onyar. Bilbao is one of those places you arrive and instantly feel at home. The streets are lined with buildings that have intricate iron balconies and these old buildings are broken up with striking modern architecture which gives this Spanish city a rather eclectic feel. 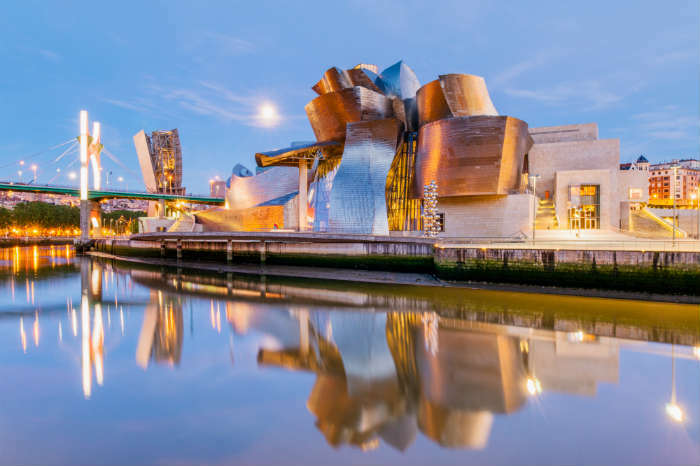 One of the main draws of this city – apart from the many, many tiny coffee shops you will find dotted around – is the Guggenheim Museum. Designed by Frank Gehry and opened in 1997, the Guggenheim is easily one of the most striking buildings you’ll see. Keep an eye out for “Puppy” at the front of the museum and, more importantly, “Mamam” a giant spider like sculpture down by the Nervion River. It might sound a bit creepy but really, it’s pretty cool. This may be the most well-known on the list of underrated cities in Spain but it’s often bypassed for Barcelona and Madrid. It’s Spain’s third largest city but you’ll definitely get a more chilled out and local vibe from this place on the Mediterranean Coast. Your first stop should be The Jardines del Turia, Valencia's old river bed which has been transformed into a place where locals and tourists can explore. 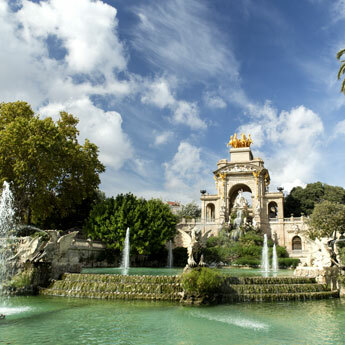 It's a 9km green space which runs through the heart of Valencia and has jogging paths, picnic spots and museums. You can even hire a bike for the day and cycle along the quiet paths at your leisure. 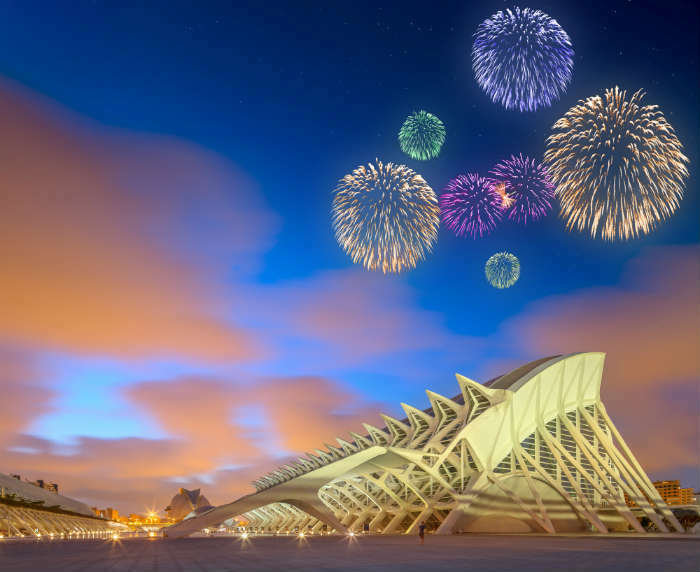 You may also come across the City of Arts and Sciences Complex, an architectural marvel which is home to Europe’s biggest aquarium, a 3d cinema inside the Hemisferic, the interactive Principe Felipe Science Museum and The Umbracle, a giant garden with tropical plants and cool sculptures. 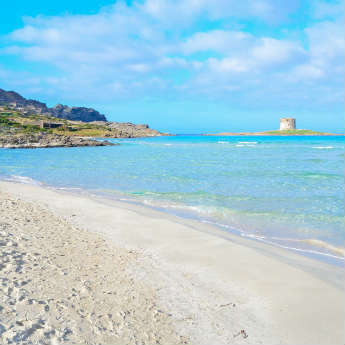 For you beach bums, the coast is only 6km away and is easily reached by car, public transport, or you can even walk there! To relax in the evening, get your hands on some Paella. This dish originated in Valencia so it’s only right you should try a plate or two in the place where it came from! And for those that fancy a slightly hipster night out, head into the Ruzafa part of town where quirky bars and late night clubs nestle in the streets of this creative neighbourhood. 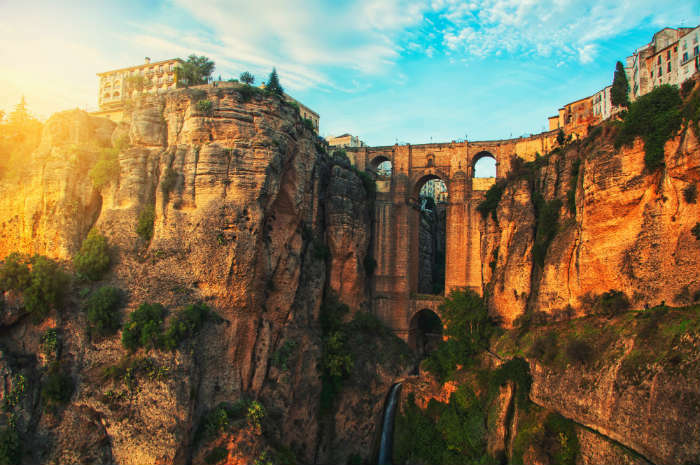 You may have seen the picture of this amazing bridge towering over a dramatic valley and you can get the very same picture too if you venture to the Andalucian town of Ronda. The Puente Nuevo bridge that looks across over the El Tajo Gorge is just one thing to check out in this destination. Wine tasting is a very popular activity to do and there are even dedicated wine routes so you can be sure you’re sampling the best of the best. The Plaza del Toros is huge part, although a slightly touchy subject for many, of Ronda’s history. In fact, this town is known as the home of modern day bullfighting and although you may not want to go see a bullfight, you can take a tour around the ring to learn more about why this controversial sport forms such an important part of Ronda’s past and present. 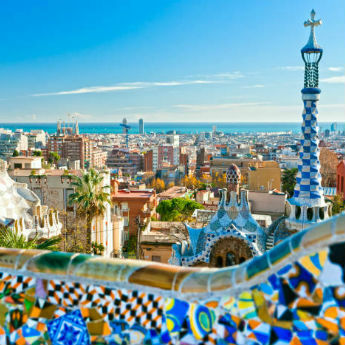 If any of these cities have inspired you to go and explore Spain a bit more, why not make one of them your next holiday destination?Compare cheap holidays to Spainnow!